Investors adopted a cautious stance ahead of key events due on Friday, say analysts. Domestic stock markets toggled between gains and losses on Thursday amid cautious trade, tracking weakness in Asian peers on concerns about global economic growth among investors. 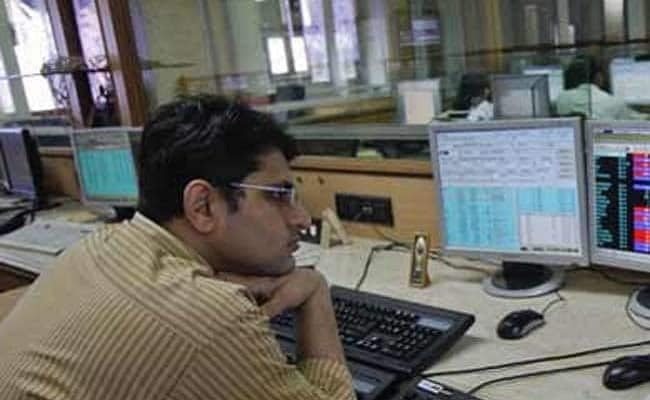 The S&P BSE Sensex moved in a range of 135.54 points, between 38,649.42 on the upside and 38,513.88 on the downside. The NSE Nifty touched 11,604.20 at the day's strongest point, and dipped to as low as 11,566.10 during the session. Selling in metal and banking stocks weighed on the benchmark indexes. Investors adopted a cautious stance ahead of key events due on Friday, say analysts. At 12:23 pm, the Sensex traded 25.49 points lower at 38,559.86 while the Nifty stood at 11,579.00, down 5.30 points from the previous close. Top gainers on the 50-scrip index at the time were Bharti Airtel, Bharat Petroleum, Dr Reddy's and Cipla, trading between 1.08 per cent and 1.96 per cent higher. On the other hand, Vedanta, Infosys, Sun Pharma and Power Grid were the top laggards, trading between 1.13 per cent and 3.98 per cent lower. HDFC Bank, Reliance Industries and Hindustan Unilever were the top contributors to the advances on Sensex, while Infosys, TCS and ICICI Bank were the top drags. The International Monetary Fund (IMF) on Tuesday said the global economy is projected to grow 3.3 per cent this year, its slowest expansion since 2016. That marked the third downgrade by the global lender in its world economic outlook since since October. The IMF said it expects the Indian economy to grow at 7.3 per cent in 2019, and 7.5 per cent in 2020, remaining the fastest growing major economy.